Vacancies in Government Internship Program and local emerging industries such as transportation are still at their peak. A manifestation of this positive trend is the long queue of young graduates applying for a total of 168 GIPvacant positions in Zamboangadel Norte-the selection Vacancies in Government Internship Program and local emerging industries such as transportation are still at their peak. A manifestation of this positive trend is the long queue of young graduates applying for a total of 168 GIPvacant positions in Zamboangadel Norte-the selection and screening processes of which are being handled by DOLE Zamboanga del Norte Field Office, Dipolog City. The GIP is a component of the government's Kabataan 2000 project under Executive Order No. 139 Series of 1993, which aimed to provide opportunities for young workers to serve the general public through the projects and services of government agencies and offices at both local and national level. For instance, selected interns shall be trained in the DOLE's public service functions and operations, which include profiling of child laborer/s in the barangay; encoding of Skills Registry System registrants; providing assistance to LGU and/or public school staff; and other non-technical functions. 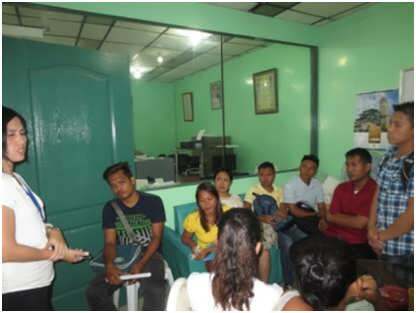 Also gaining a province-wide prominence is the on-going hiring of workers for key vacant positions in Rural Transit Mindanao Inc.-Dipolog Branch Office, Dipolog City. HR Manager Ms. Annalou del Mar revealed that the company is now accepting applications for 30 bus drivers and 30 bus conductors, among others. Christine C. Torres, 25, had her plans all laid out when she took BS Accountancy in college; but for now, she is preoccupied with various administrative works including preparation of vouchers and bank checks ensuring smooth implementation of the Special Program for Employment of Students (SPES) of DOLE. Ms. Torres is just one of those who got hired as part of the initial batch and placed with participating government agencies transitioning from a specific course in school to an actual hands-on training in government service. Director Sisinio B. Cano of DOLE IX sees the need to sustain the implementation of internship program and make it more accessible to young graduates inasmuch as it serves as a training ground for them to hone their skills and at the same time earn living wage. He added that DOLE's intensified employment facilitation is a testament of government's preference to local-instead of overseas employment.